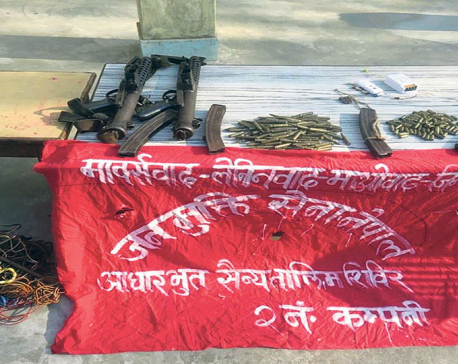 DOLPA, Jan 21: A person who has been at large after robbing an idol of Lord Buddha in Dopla was busted on Sunday. Police arrested Dhawa Thapa, a local of Buddha rural municipality-3, Dolpa, who has been absconding for the past three years after robbing the ancient Buddha idol. According to Abhadesh Bista, Deputy Superintendent of Police (DSP), District Police Office, Dolpa, police squad held Thapa from Kathmandu with support from Central Investigation Bureau. Thapa has been hiding in Kathmandu after the robbery case. It may be noted that the District Court Dolpa had slapped a penalty of Rs 100,000 and sentenced three-year jail-term against Thapa after his involvement in the theft case was substantiated with evidence.